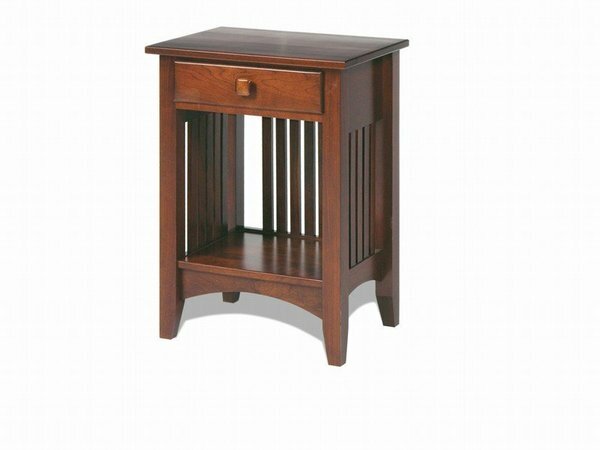 Our Craftsman Mission One Drawer Night Stand is made to complement our other Mission Amish bedroom furniture items. This Amish night stand features one drawer and open storage space. This Mission Night Stand is available in oak, cherry, or maple wood. All Amish bedroom furniture pieces from our village inn collection are handcrafted and bench made in America by expert Amish woodworkers. and expect that the bookcase with be equally great. Please pass this on.